St Pauls Chambers are regularly instructed to represent people making Private Law applications and by those opposing such applications. Difficulties can arise when family relationships breakdown. In some cases, these cannot be resolved and people turn to the Family Court for assistance. Private law cases are brought by individuals often seeking an order under Section 8 of the Children Act 1989. Orders under Section 8 of the Children Act 1989 include child arrangement orders and prohibited steps orders. Child arrangement orders determine who a child is to live or spend time with, and such orders can be granted to more than one person whether they are living together or not. They can include not only parents, but arrangements between siblings and wider family members. Contact may include direct contact, or indirect contact such as letters and emails. Family barristers at St Pauls Chambers recognise how difficult and stressful the breakdown of family relationships can be, especially in regards to private children law. St Pauls Chambers are regularly instructed to represent people making Private Law applications and by those opposing such applications. 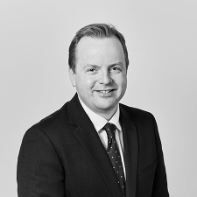 St Pauls’ specialist team of Family barristers includes Simon Bickler QC, who sits as a Recorder in the Family Court and Bryan Cox QC who is notable for his experience with medical expert cross-examination. St Pauls Chambers is also frequently instructed to act in cases involving applications for non-molestation orders, both with and without notice, and occupation orders under the Family Law Act 1996. Get in touch to find out how we can assist your private family law case. Our barristers regularly represent both people making Private Law applications and those opposing such applications.